Replacement Bulbs for ferrofluid lava lamp. 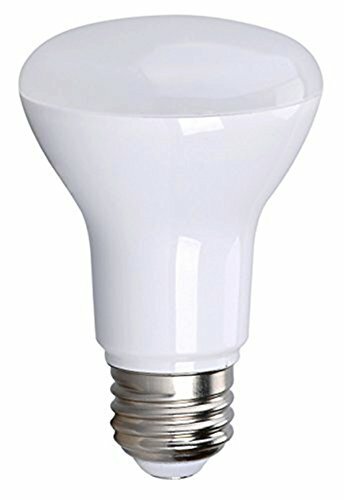 15 Watt Reflector type bulbs. Will not work on regular lava lamps, only ferrofluid based lava lamps. Ferrofluid lava lamps require less heat, therefore less watts. Replacement BULB for any of our Lava Lamps. 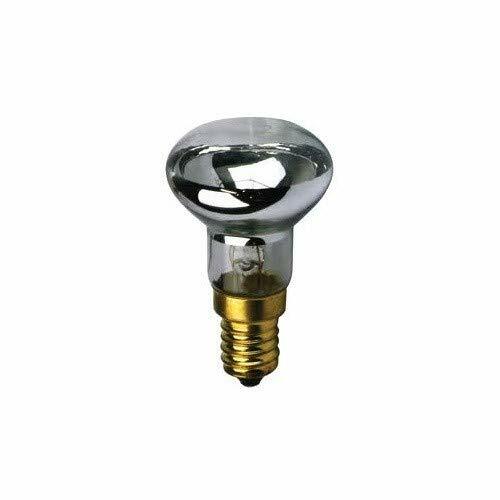 R39 30 Watt Reflector type bulb. Approximate Measurements: 2" L x 1.5" W(Top of Bulb) Base Measures Approximately 5/8" x 9/16" Specially designed to reflect and direct the light into the base of lava lamps in order to create enough heat to start the lava motion. 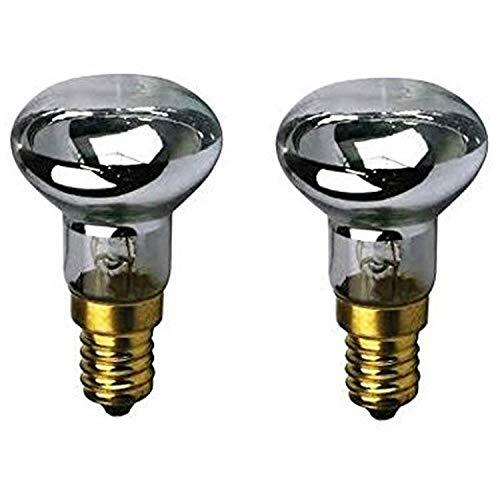 Set of 2 Replacement BULBS for any of our Lava Lamps. R39 30 Watt Reflector type bulbs. Approximate Measurements: 2" L x 1.5" W(Top of Bulb) Base Measures Approximately 5/8" x 9/16" Specially designed to reflect and direct the light into the base of lava lamps in order to create enough heat to start the lava motion. 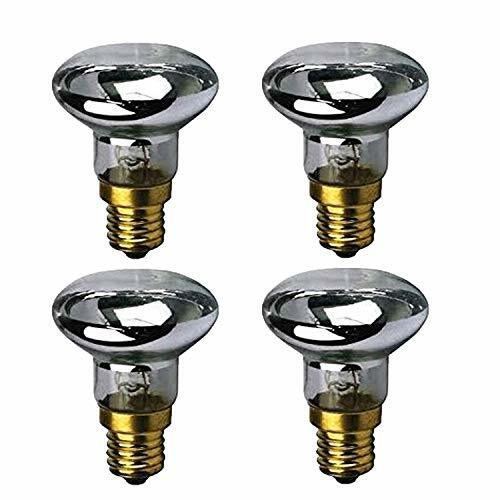 Set of 3 Replacement BULBS for any of our Lava Lamps. 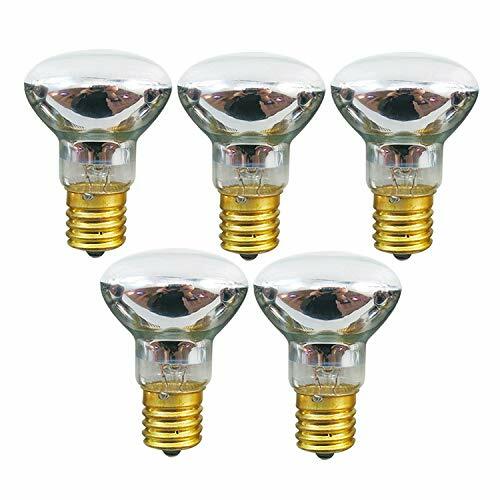 R39 30 Watt Reflector type bulbs. Approximate Measurements: 2" L x 1.5" W(Top of Bulb) Base Measures Approximately 5/8" x 9/16" Specially designed to reflect and direct the light into the base of lava lamps in order to create enough heat to start the lava motion. 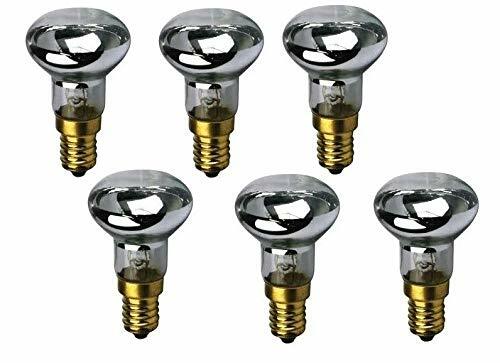 Set of 6 Replacement BULBS for any of our Lava Lamps. R39 30 Watt Reflector type bulbs. 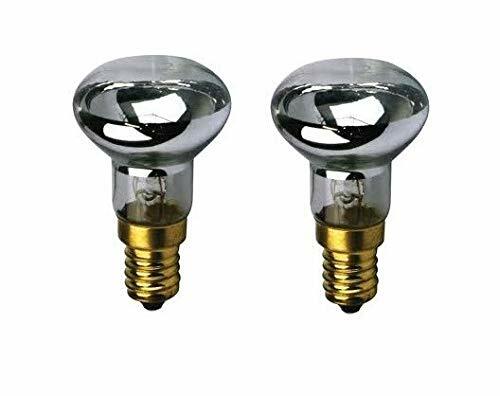 Approximate Measurements: 2.25"L x 1.5"W(Top of Bulb) Base Measures Approximately 1/2" Specially designed to reflect and direct the light into the base of lava lamps in order to create enough heat to start the lava motion. 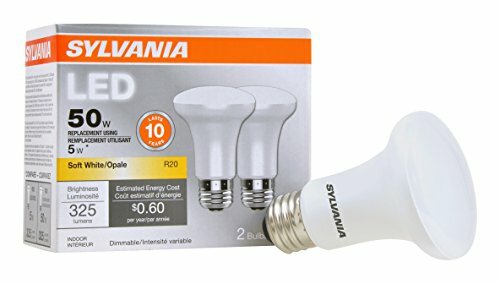 Replacement Bulbs for Lava Lamps. 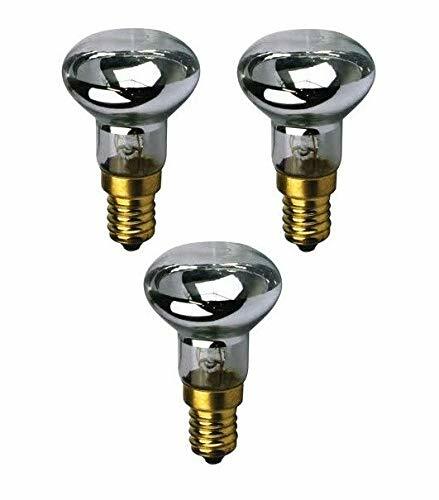 R39 Watt Reflector type bulbs. Approximate Measurements: 2.25"L x 1.5"W(Top of Bulb). 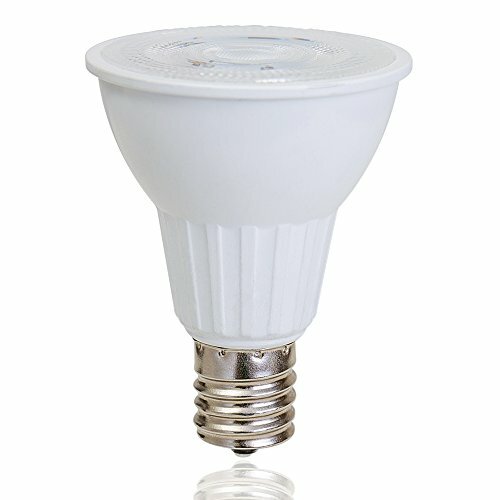 LED BR20 / R20 bulb: This LED lights do not overheat or emit harmful components (no UV&IR, no toxic mercury≤ad). You can safety install them in your home, office or any place you like. Pleasant on your eyes: Flicker-free lighting for eye care, cool white 6000K, to give off comfortable glow, and CRI 80+ to provide true color temperature experience, all are pleasant on your eyes. Inviting light in your home or workspace for directional lighting, this bulb's 6000K cool white color is just right for you. Ideal for residential use in kitchens, living rooms, dinning rooms, and for commercial use in offices, hotels, schools, retail spaces. 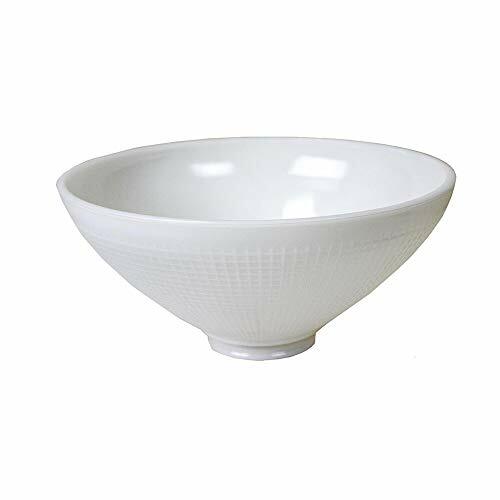 Widely application: Designed for damp location, can be used for both indoor and protected outdoor fixtures. 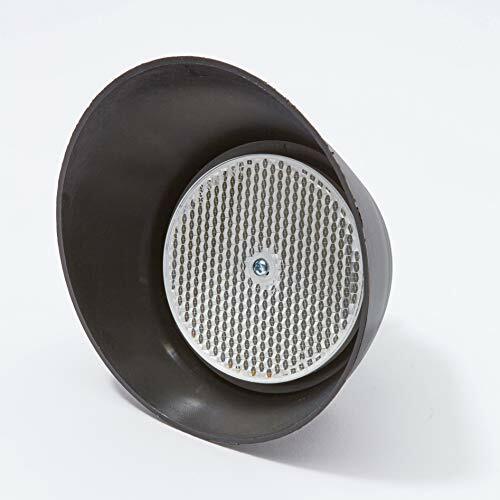 You can use them for your outdoor landscape lighting in most applications. 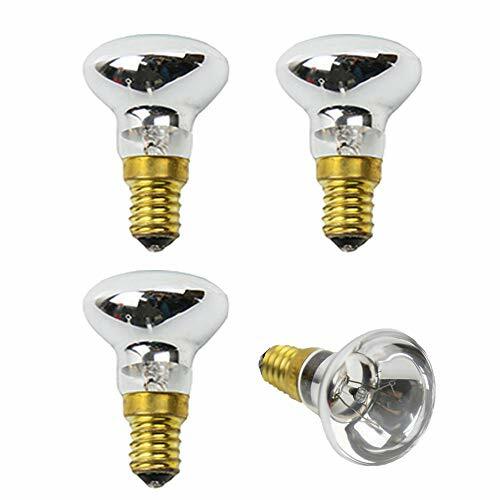 With 120 degree light disbursement, the flood bulb is suit for: Track lighting, Recessed lighting, Flood lights, Wall washing lights, Pendant lights, Accent lighting, Landscape lighting. 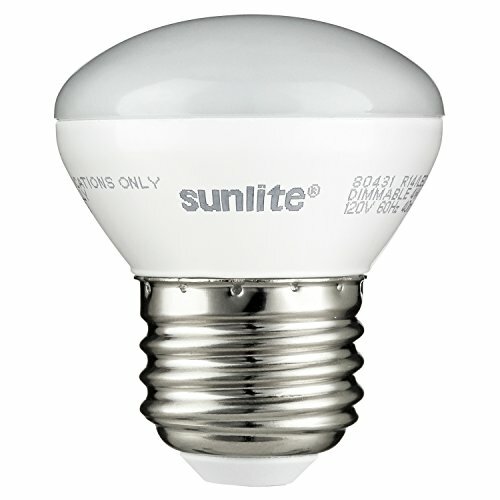 Not for use in totally enclosed luminaires Ideal for both indoor and protected outdoor fixtures Notice: As with bulbs, turn power off before inspection, installation or removal. Halogen non-reflector lamps offer high-quality light and are easy to install, replace and operate. All halogen non-reflector lamps incorporate a distortion-free quartz bulb and a precise positioning of the mounted filament. These ensure optimal beam performance and consistent, high light output. A wide range of wattages is available for a broad variety of applications, including projection systems. In addition you get all the proven advantages of halogen technology such as a full spectrum and a color rendering index (CRI) of 100 - the same as natural light and the best that it can be. Halogen lamps also create a comfortable warm white light, and they maintain their lumen output, with almost no reduction, throughout their lifetime. Halogen non-reflector lamps offer high-quality light and are easy to install, replace and operate. All halogen non-reflector lamps incorporate a distortion-free quartz bulb and a precise positioning of the mounted filament. These ensure optimal beam performance and consistent, high light output. A wide range of wattages is available for a broad variety of applications, including projection systems. In addition you get all the proven advantages of halogen technology such as a full spectrum and a color rendering index (CRI) of 100 - the same as natural light and the best that it can be. Halogen lamps also create a comfortable warm white light, and they maintain their lumen output, with almost no reduction,throughout their lifetime. Is your light bulb starting to flicker? The dreaded search for a replacement light bulb is about to begin! Well, look no further! Kick off your shoes and relax! GoodBulb's Lava Lamp Replacement Bulbs provide a beautiful, long-lasting warm light! Lava lamps are a simple yet elegant decorative accessory for any room in your home! Art meets innovation with the Specialized Heat Optimization Feature - A special heat dispersion mechanism which prevents lamps from overheating plus maintains a consistent heat output - This specialized mechanism helps maintain the perfect flowing lava motion! Lava lamps come in a wide-variety of colors and styles - Whatever you decide, choose GoodBulb's Lava Lamp Replacement Bulbs as your lighting choice! These SYLVANIA contractor series LED R20 reflector lamps are constructed of plastic bulbs and they measure 2-5/8 inches in diameter. 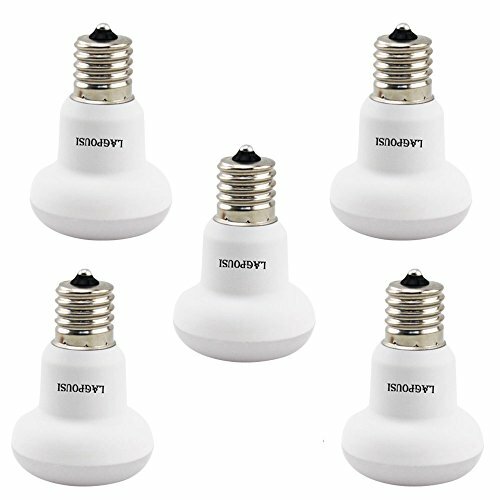 Replacing older mercury and lead incandescent lamps with these low-wattage LED lamps will help reduce energy consumption up to 86%. 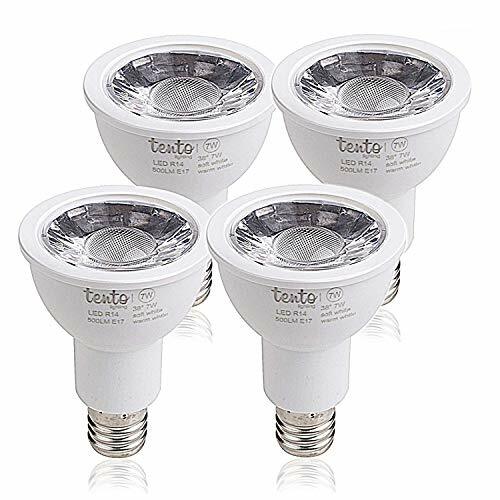 with up to 11, 000 hours of life expectancy (L70), these lamps can last over 4.4 times longer than the older incandescent lamps. these environmentally preferred products are rohs Compliant and operate without any harmful UV emissions, IR radiation, mercury, lead or any other hazardous materials. They require no warm-up time and are made with an instant-on design feature, with smooth heat sink and uniform light distribution. 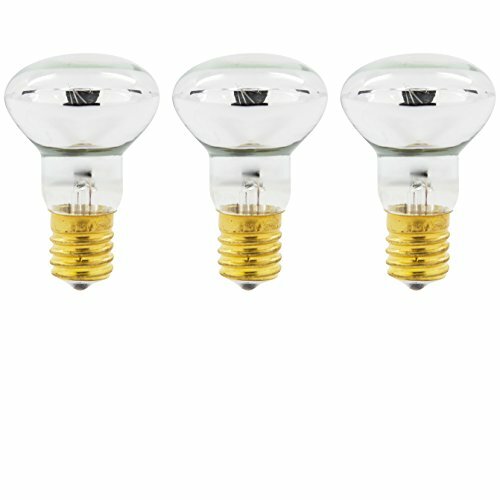 These versatile SYLVANIA LED R20 lamps are suitable for use in damp environments. Compare prices on Reflector Type at Elevelist.com – use promo codes and coupons for best offers and deals. We work hard to get you amazing deals and collect all avail hot offers online and represent it in one place for the customers. Now our visitors can leverage benefits of big brands and heavy discounts available for that day and for famous brands.